The Rev. 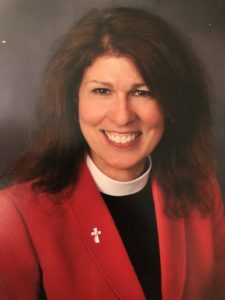 Lauren A. Villemuer-Drenth is currently Director of Children’s Ministries at St. Paul’s Episcopal Church in Winston-Salem, NC. After her ordination in 2005, she worked with several parishes, dioceses and schools in multiple states to develop children, youth and family ministries. Prior to her ordination, she was a Pediatric Oncology-Hematology Registered Nurse and worked as a volunteer with children ministries. She and her husband, Henk, share five adult children, two grandchildren, a dog, and a passion for improving the lives of children (and their families).